Ducati has denied approaching current Aprilia technical guru Gigi Dall’Igna to drag the struggling Bologna factory out of its MotoGP slump. Without a clear technical mastermind since long-serving Filippo Preziosi was relieved of his duties at the end of a disastrous two-year spell with Valentino Rossi, it was strongly rumoured that Dall’Igna had been tapped up to join Ducati. Ducati is about to implement a major revamp of its racing arm for 2014, but boss Bernhard Gobmeier is adamant that Dall’Igna will not be headhunted. 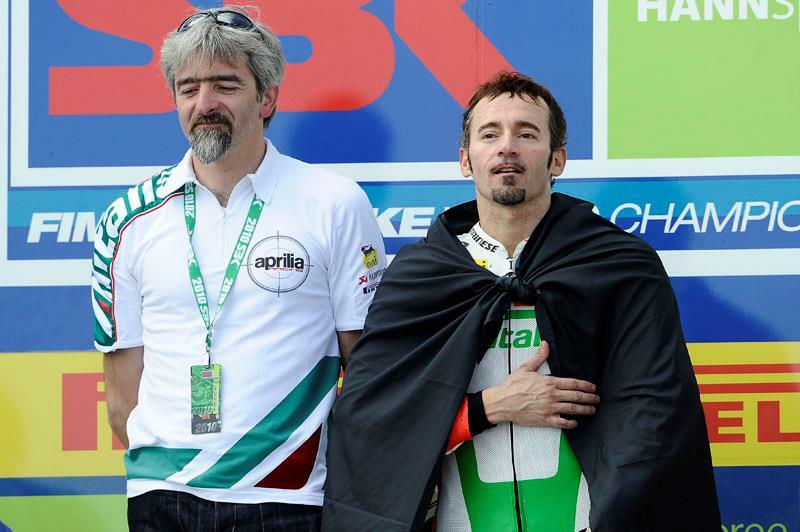 Gobmeier denied talks had even taken place with Dall’Igna, who spearheaded Aprilia’s recent success in the old 125 and 250cc GP classes and World Superbikes. Ducati’s former ex-WSB boss Davide Tardozzi has been strongly linked with a role in the MotoGP project for 2014, but Gobmeier has also denied the Italian is under consideration. He added: “We are thinking of re-structuring the racing team but the names you have mentioned I have never heard. But there are some ideas on how to restructure the racing team as well as the R&D team to get a higher efficiency."